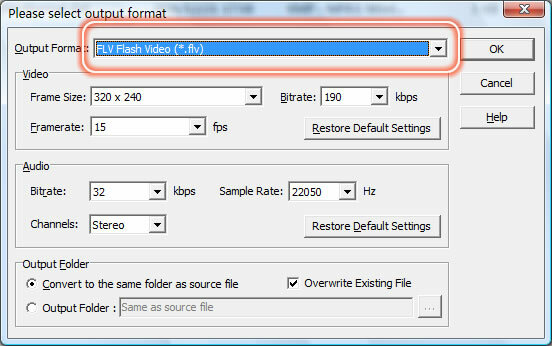 Raize Video to Flash Converter is an easy-to-use video converter to convert popular video to Flash FLV and SWF streaming Macromedia Flash video format. Almost all popular video formats are supported, including AVI, DivX, XviD, MPEG, MOV, MPG, MOD, QuickTime, MP4, M4V, 3GP, 3G2, GIF, DV, MJPEG, VOB, WMV, ASF. Now you are able to convert the above video formats to Flash SWF and FLV, and share these videos/movies on the web easily and quickly! Support most popular video formats. Input: AVI, MPEG, MOD, DV, WMV, MOV, QT, MP4, DivX, XviD, ASF, VOB, 3GP, FLV, etc... Output: FLV, SWF, MPEG, AVI, MP3. Many settings are adjustable, for example, you can adjust video size, bit rate, or frame rate, etc... So that the output flash video will be shared on the web easily. Allowing you to drag-drop to load video files, just drag the video files to the icon or main window, the conversion will be started automatically. Excellent output quality of video and audio. Raize Video to Flash Converter is also a SWF Converter, and let you convert your video to SWF movie files for the web publishing and sharing. 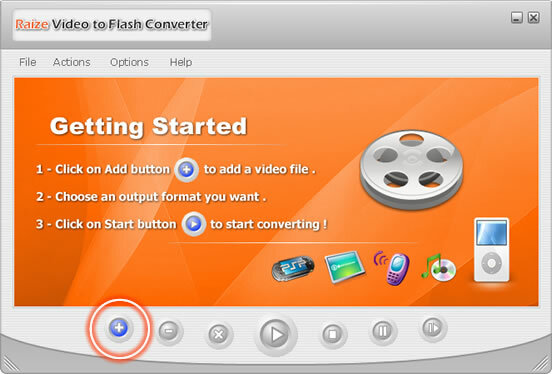 If you want to convert your flash video to MPEG format, Raize Video to Flash Converter software can help you. It can convert digital video to MPEG-1/VCD formats directly.